We begin with a some more Cape Buffalo (Syncerus caffer). 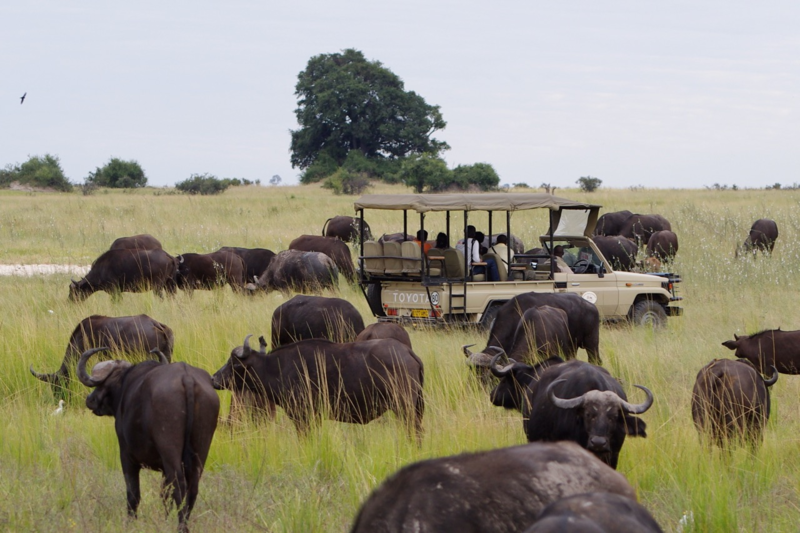 In the first shot, you can see the type of safari vehicle we had and appreciate how close to the wildlife one can get. 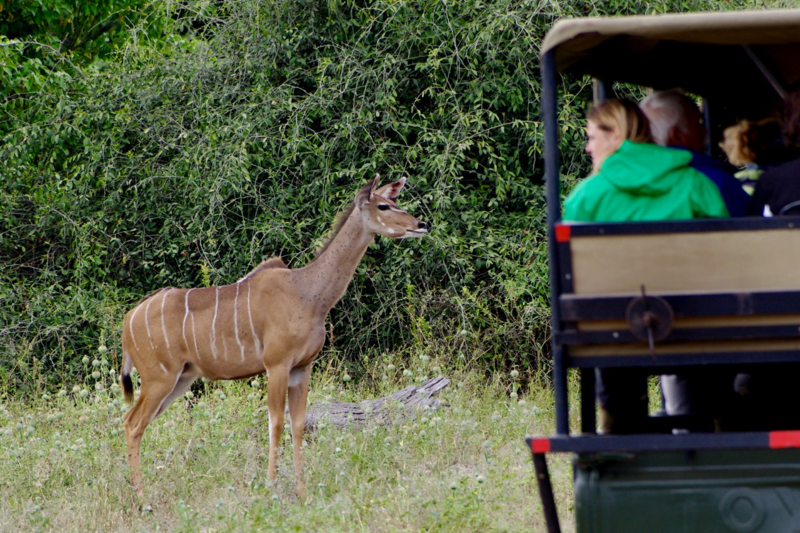 Our guides claimed that the animals perceive the vehicle and passengers as a single harmless unit. They would not allow humans on foot to come anywhere near that close. Depending on the species, they would flee or charge. 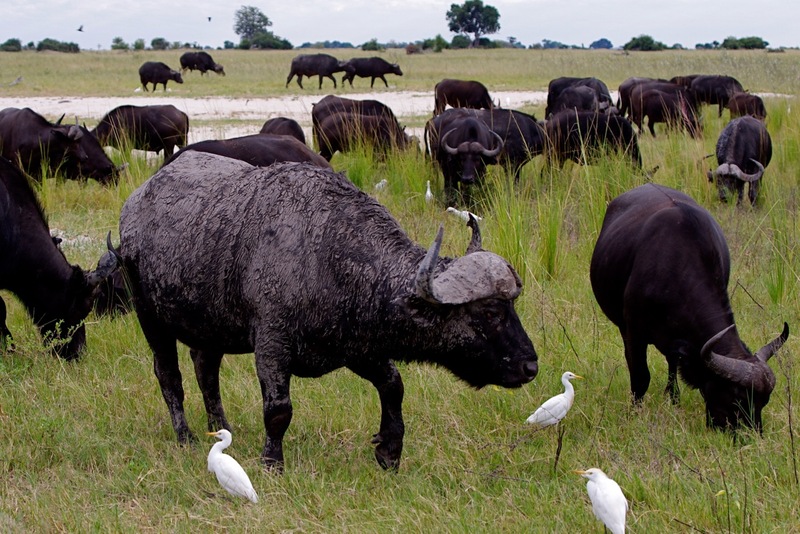 In the second view we see again the cattle egrets (Bubulcus ibis) accompanying the buffalo. The individual nearest the camera appears to have had a nice wallow in some mud. 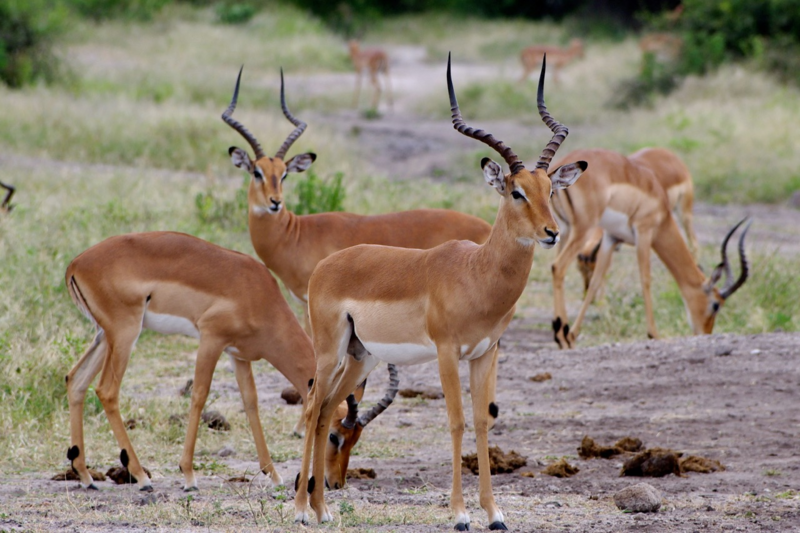 These are mature male impalas (Aepyceros melampus) that have not managed to establish dominance and control a harem. They commonly are found in “bachelor herds”. This is a dominant male with a sizable harem. There is one young male just over the back of the dominant fellow. From the shape of the horns we can tell he is not yet mature, so he is tolerated. 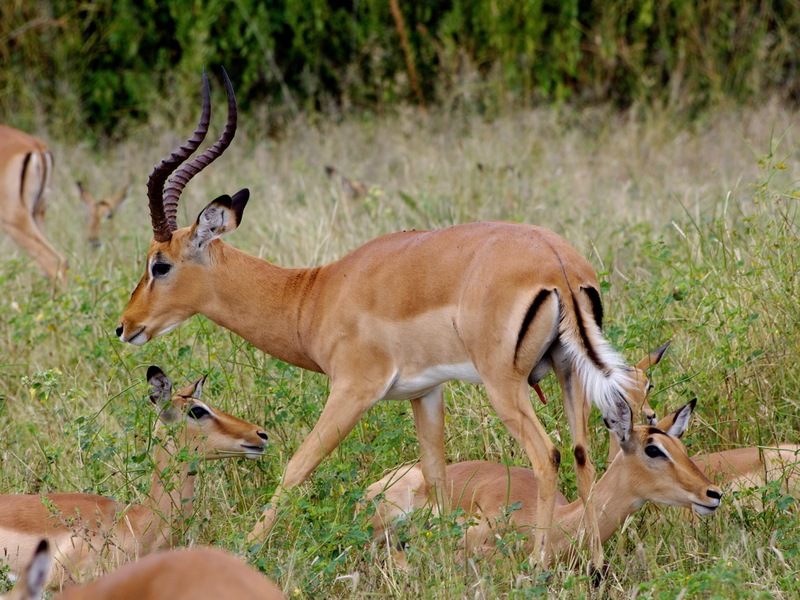 The second view is the dominant male up close. We were fortunate (and excited) to get a close look at a leopard (Panthera pardus) actually stalking prey. He is very close to the vehicle in front of us. Apparently predators sometime try to use vehicles as screens. 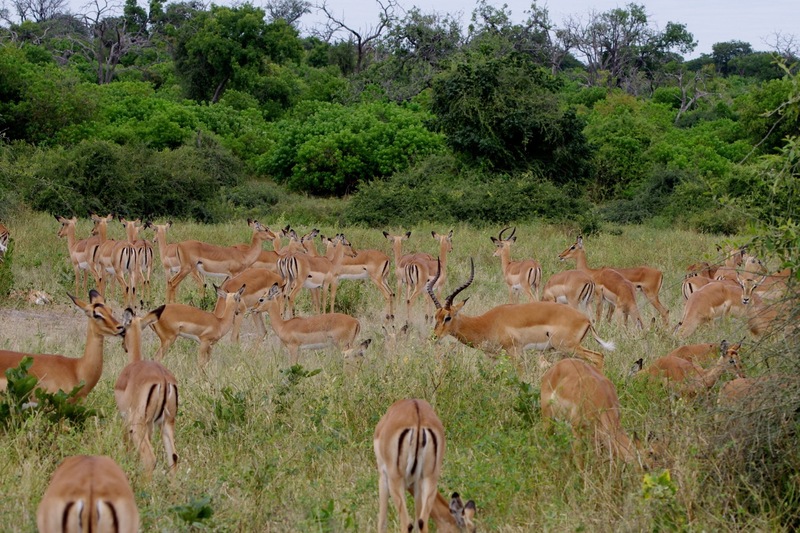 And here is the greater kudu (Tragelaphus strepsiceros) that the leopard was stalking. She stood her ground, stared straight at the leopard and bellowed, basically saying “I see you, so there is no chance you will take me by surprise. Forget it”. And, indeed, the leopard soon walked away. 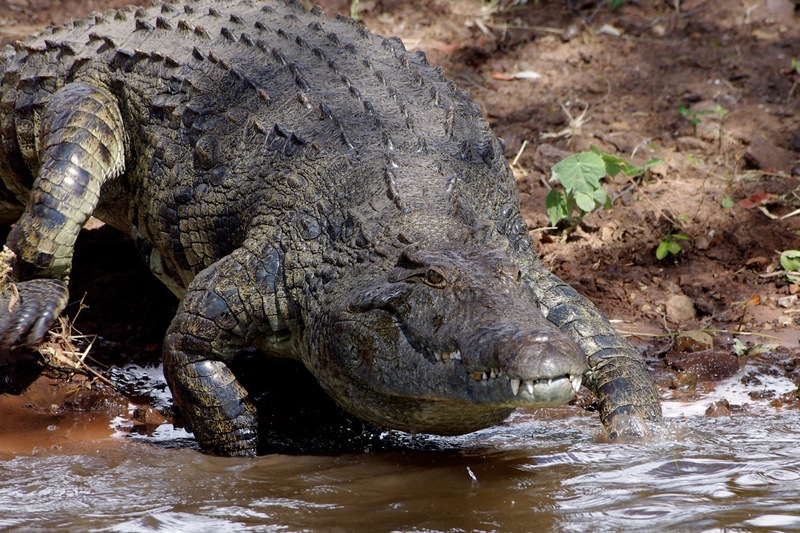 This, of course, is a Nile crocodile (Crocodylus niloticus) just entering the water. We were glad to be in a boat more or less the size of the safari vehicles seen above. 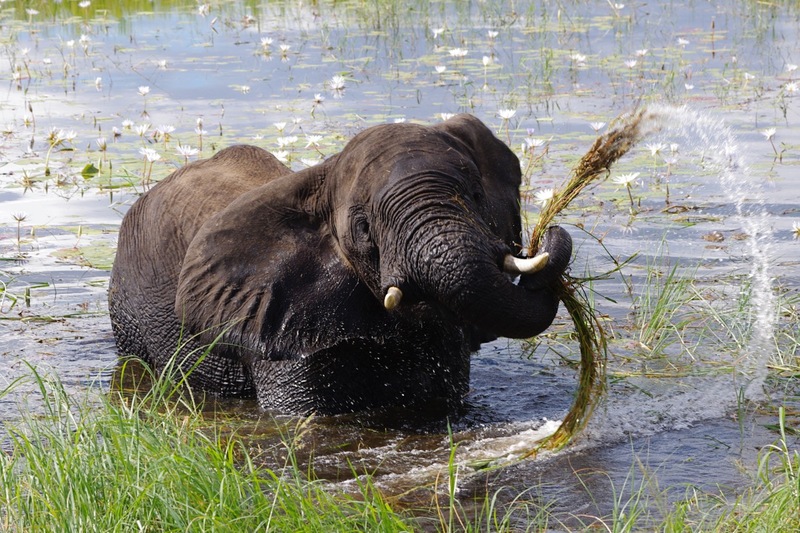 Finally several more of the Chobe elephants (Loxodonta africana). 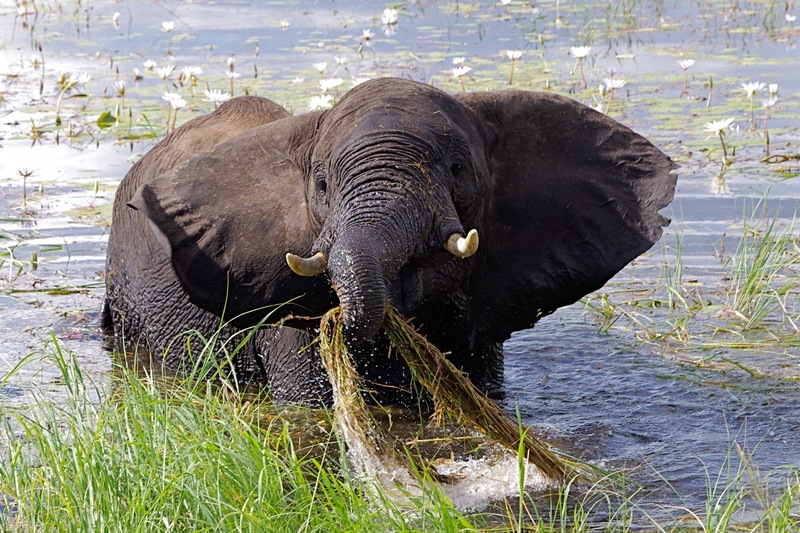 In the second view, an elephant has just pulled up a nice bunch of grass which, in the next shot, it swishes back and forth to rinse of the dirt from roots. We were told this is common behavior that avoids unnecessary wear on the teeth. Again, we were in a boat. The last elephant is having a dust bath. This entry was written by whyevolutionistrue and posted on September 24, 2018 at 7:45 am and filed under mammals, photography. Bookmark the permalink. Follow any comments here with the RSS feed for this post. Both comments and trackbacks are currently closed. That Leopard! What a shot. 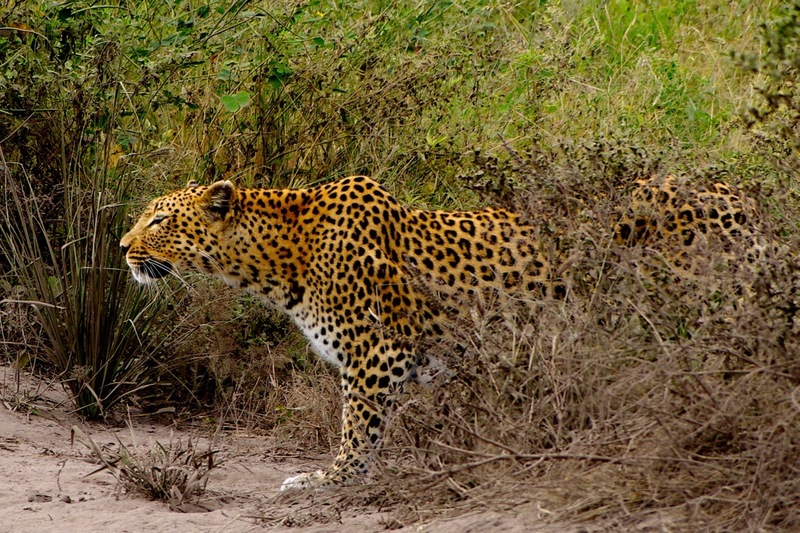 You can see how the five spots correspond to five fat, black fingers on any leopard you like. Sometimes the fingers slipped a bit, and made the spots run together. It’s the Just So Story Reality Tour! What I mean is most of these animals are in those stories. Love it! I also think that’s interesting how the vehicle is “perceived” as a non-threatening… “unit”… it gives an idea of how animals think. .. comment 2: a woke person wouldn’t be able to make it through half of this post. Great photos. Must have been a wonderful trip. Wow!! Those are like stills from a nature documentary. What memories these must be. Very exciting. I can see you were able to get close. That safari looks like a hoot! 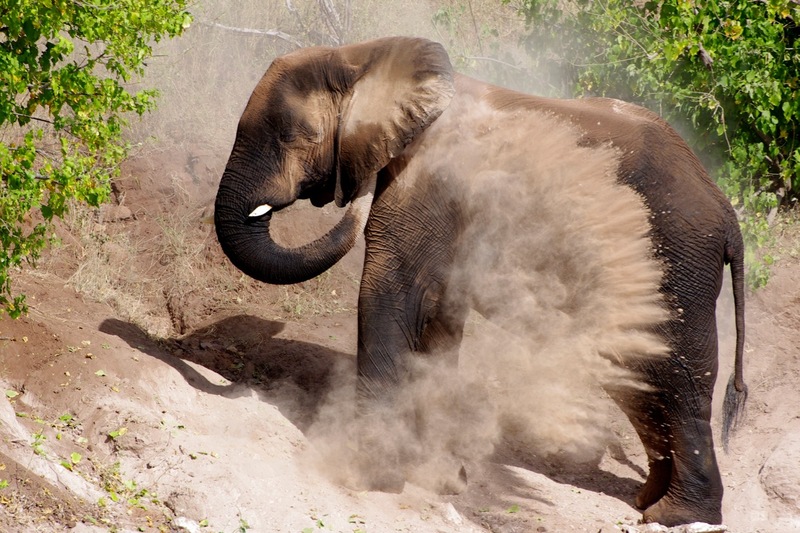 Very nice photos…I loved the action shot of the elephant’s dust bath. Great stuff Joe. Where were you? 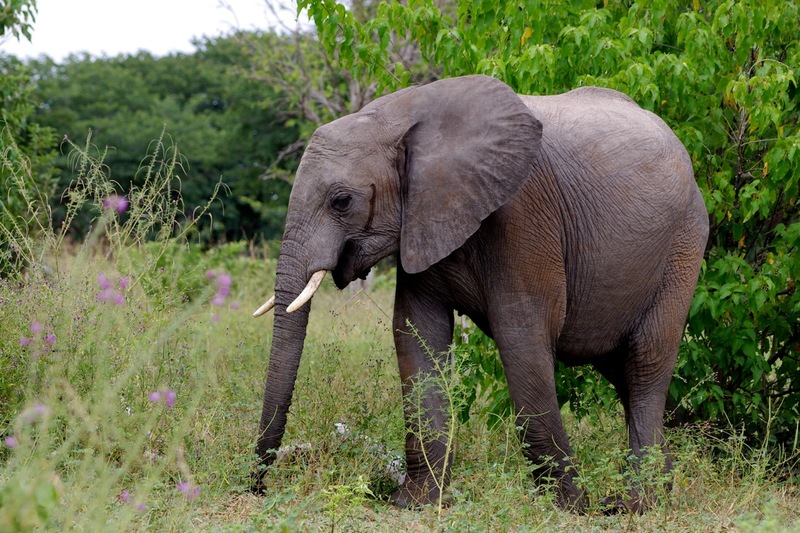 These were in south central Africa around Victoria Falls and along the Zambezi River.